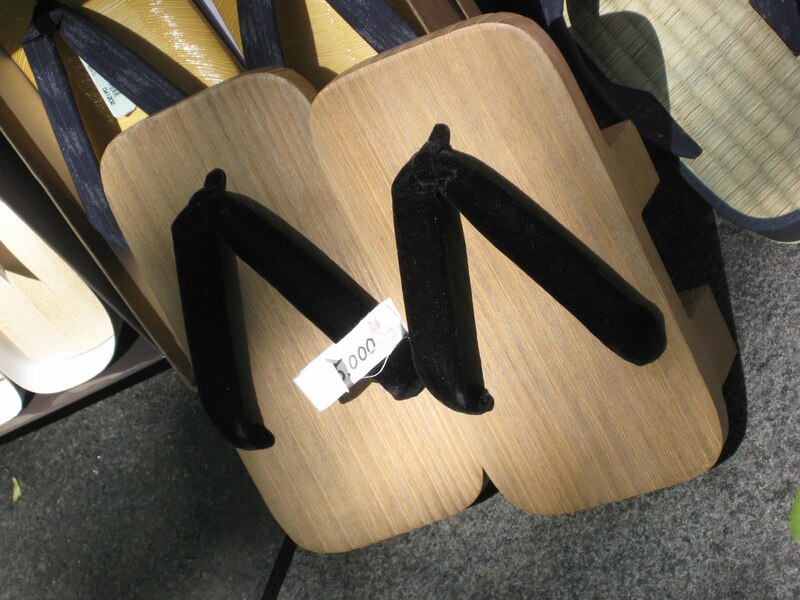 There appear to many forms of flip flop here in Japan, the most famous one being the geta that resemble both clogs and flip flops. 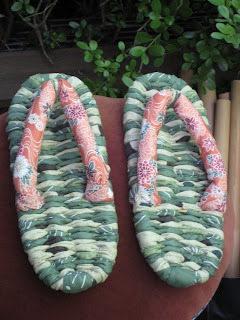 The geta are a kind of sandal with an elevated wooden base held onto the foot with a fabric thong. This keeps the foot well of the ground and helps to keep the foot dry in wet or snowy weather. 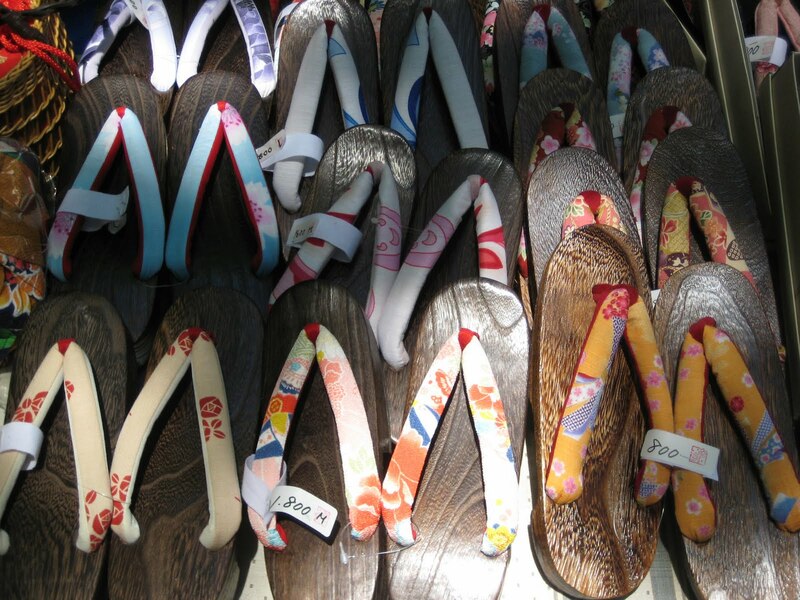 Zori are flat flip flops and can be made of cloth, lacquered wood, leather or rubber and the thong is attached centrally so that the shoe can be worn on either foot. They are usually worn with the more formal kimono, although many women wear them in the summer with yukata (cotton kimonos). 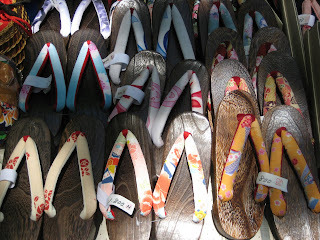 The men wear more casual zori and they are often just black or white thongs on a plastic or cork sole. I love the way that the men "slop around" in their zori. At first I thought this was just laziness, but apparently it is a sign of strength and "cool" if you do that! 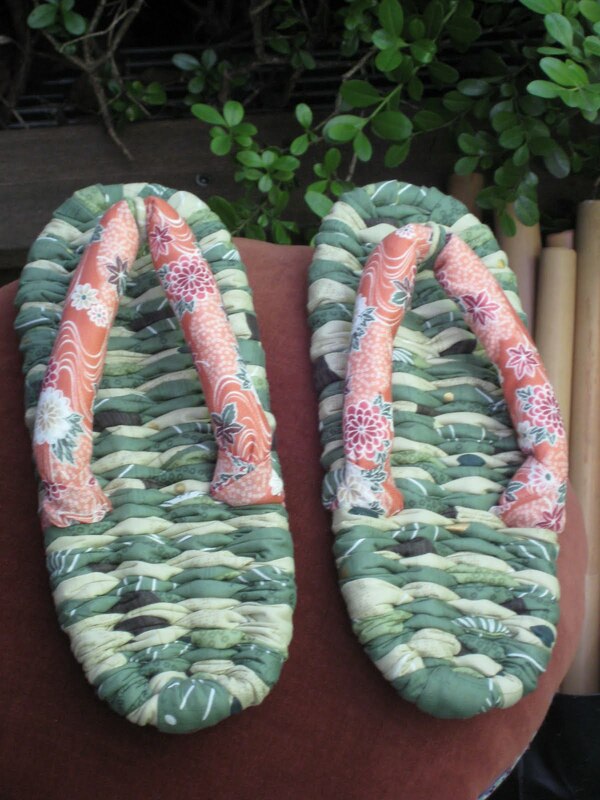 There are also cloth zori which you often see - a rather more ecological approach. 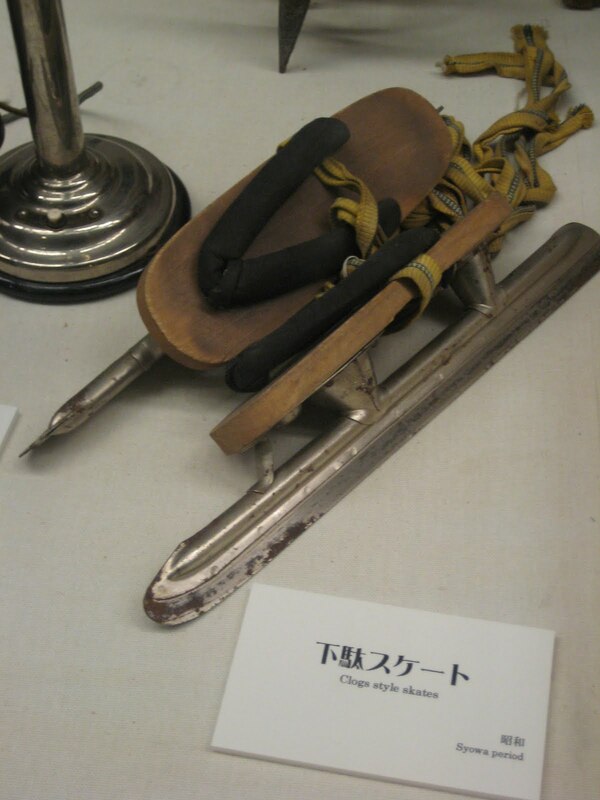 I have to say, my favourite geta were the ones we saw in a museum recently, attached to some ice skate blades. I can't imagine how you even begin to get your balance on these!